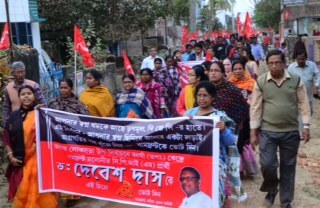 Bangaon has witnessed vote-loot in the last Parliamentary election along with the entire state. Now the people of Bangaon are facing another election to elect their representative in the Lok Sabha due the death of the TMC MP Gobinda Naskar. Nine months have passed after the last election. 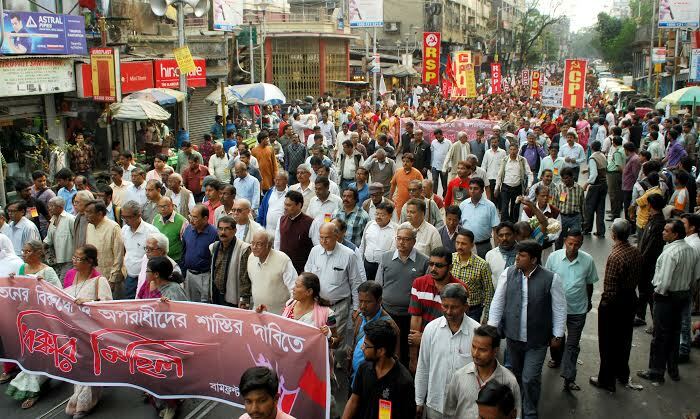 The people of Bangaon are now showing their face of resistance. The hooligans who celebrated after capturing booths are witnessing how the women of different localities coming out with voice of protest – they are protesting against tearing off the red flag; they are saying without hesitation that they themselves will write graffiti in their wall. The people of Bangaon have created their own slogan- we’ll cast our own votes, we’ll resist booth capturing. One worker of TDK factory in Kalyani industrial area, who wanted his name not to be disclosed, said about their experience in last three years. 600 workers have lost their job. Some of them were regular and other sections were casual. The owner has been doing everything at his will. Nothing has been changed even after the victims informed the state Labour Ministry. Several companies were closed in the Kalyani industrial area. The Chief Minister came to Kalyani in November, delivered lecture. But that’s all. As usually whatever she commits those hardly get materialized. In last three years no new agreement has been formed. The workers did not experience increase in payment. On the contrary they are receiving letters of sack and early retirement. The worker said this is essential to cast the vote this time, message has to be given. Professor Debesh Das, the Left Front candidate of Bangaon Parliamentary constituency, took formidable initiative of opening closed industries and welcoming new industry when he was Minister in the Left Front Government. But neither TMC, nor BJP are addressing the issues of the common people. There are 72 panchayats in Bangaon Parliamentary constituency, among them 2,86,105 families are eligible to get work in 100 days work scheme. But according to the record of Panchayat ministry only 4768 families got the job for 100 days- only 5.05% of the eligible families. 19151 families got the job for less than 15 days – that constitutes 20.31% of the eligible families. Among the scheduled class families under REGA only 36.28% families got job in the current financial year. 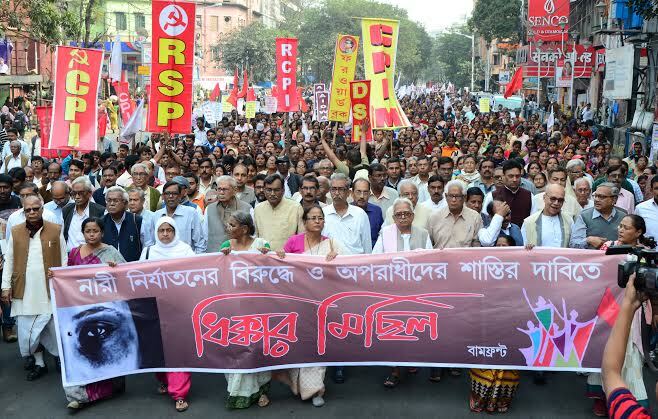 Left Front Chairman and CPI (M) State Secretary Biman Basu has stated in a Press Conference that both TMC and BJP have committed a heinous crime to the Matua community. He stated that Harichand Thakur and Guruchand Thakur led the Matua Movement and founded Matua Mahasangha for doing social reform, education and other welfare activities for people. Both BJP and TMC have ruined the organization by contributing dirty partisan politics. 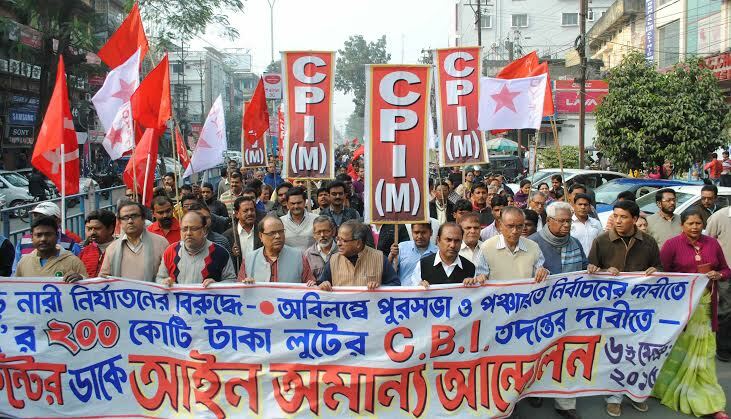 Left Front has never committed anything such with Matua people and their organizations. Now, Matua Mahasangha facing a serious split as both BJP and TMC have nominated their candidates from the leading Matua Family. This is a serious and unpardonable crime perpetrated by BJP-Trinamool to the Matua people. 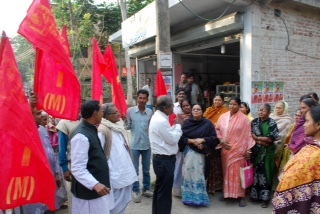 Biman Basu also stated that the Left Front candidate is fighting against any communal division among people and for the unity of all poor people. 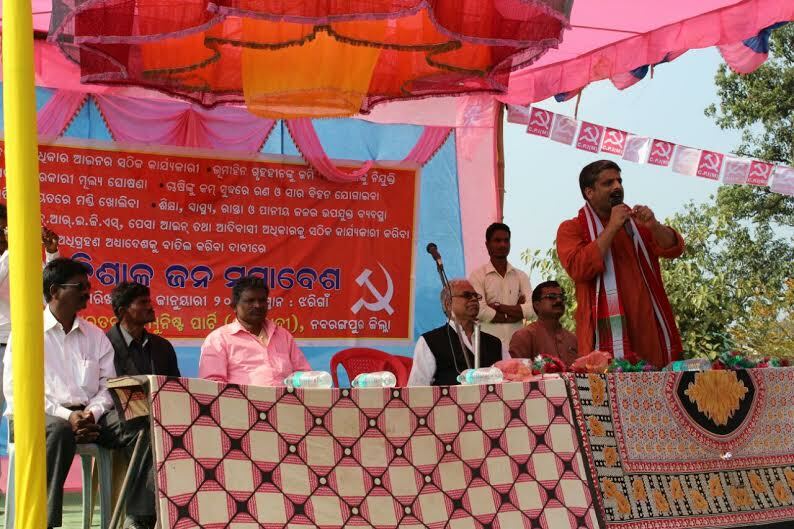 He appealed to all people to cast their votes in favour of the Left Front candidate. 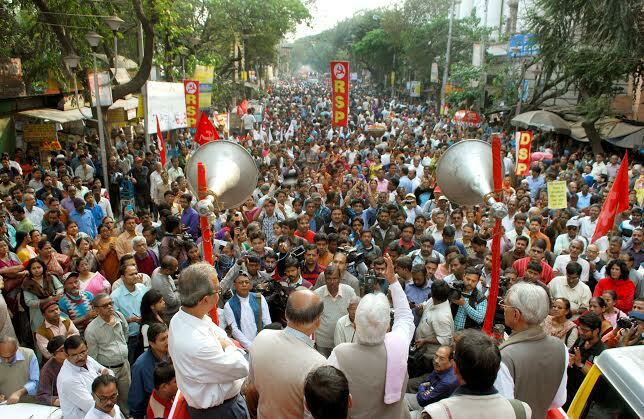 CPI(M) Polit Bureau member and Leader of the Opposition Dr. Surjya Kanta Mishra addressed a huge gathering in support of Left Front candidate of Bangaon Parliamentary constituency Professor Debesh Das on 7th February. He said it is an opportunity to protest against misrule of state and center. He asked what the people of the state have got from the new Government. Left Front Government initiated the process of industrialization for the sake of the unemployed youth of the state. 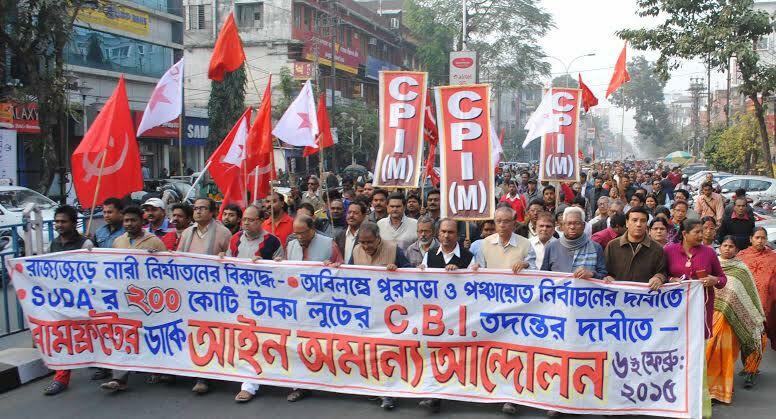 But the TMC Government neither took interest in industrialization, nor to create scopes of employment. Rather it reduced considerably. The TMC men were only busy with murder- terrorization-loot. 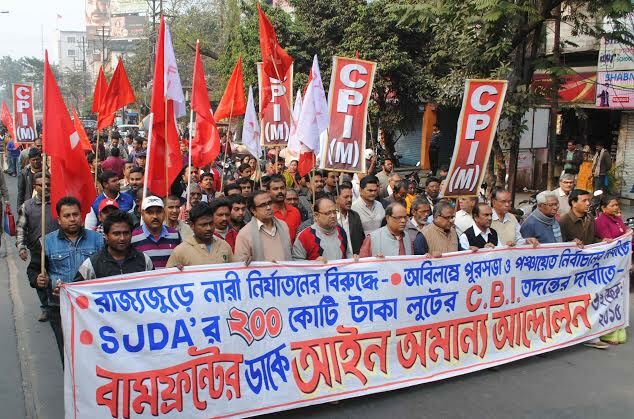 Saradha chit fund scam has unmasked the TMC people. It is the time to create history in Bangaon and we believe the people will create history, said Dr. Surjya Kanta Mishra to the mammoth gathering.